I have been a user and reviewer of Pixi products for a long while and in this time, I have been able to test out a ton of product that have remained in my daily rotation. 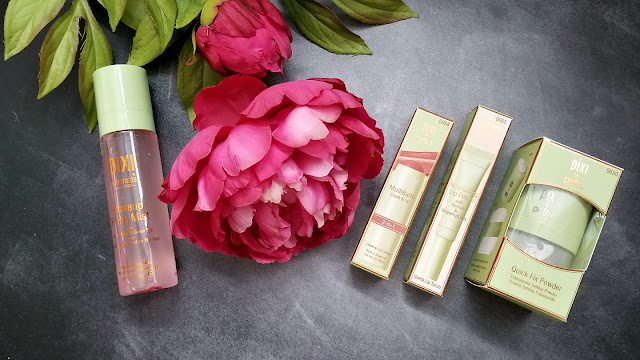 This time, I was sent four products to try, two of which are already my tried and true favorites - the Makeup Fixing Mist and the Multi-Balm. The Mist prolongs your make-up and sets it to last all day. It contains rose water and green tea that helps to refresh the face while moisturizing it and hydrating the skin. The Multi-Balm on the other hand is a multi-purpose stick that you can use on both your lips and your face/on the cheeks. It contains aloe vera, shea butter and rose hip oil. - Nourishing Lip Polish - a 2-in-1 lip exfoliator and hydrator. It contains a textured doe-foot applicator that helps to buff off dead skin on the lips, and the small hole in the center allows product to be deposited onto the lips when done. The formula of the product dispensed is shea butter, sweet almond, apricot and evening primrose oils. I really enjoyed this product, the lip product really hydrated the lips and the textured doe foot applicator worked well to subtly plump the lips afterwards. 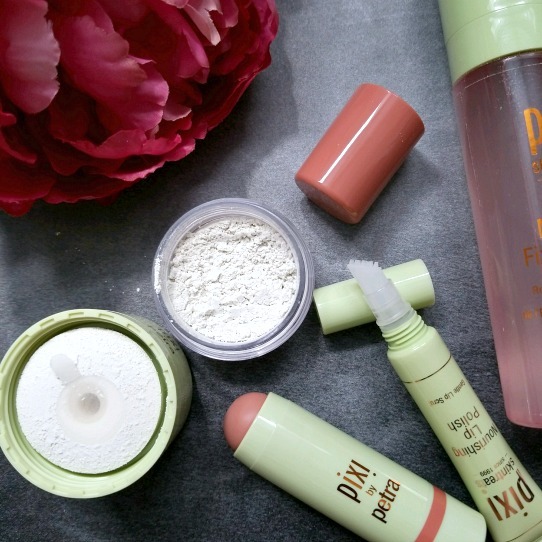 - Quick Fix Powder is invisible and lightweight. It contains a powder top applicator that when pumped or puffed onto the skin, dispenses the make-up setting powder to the face. 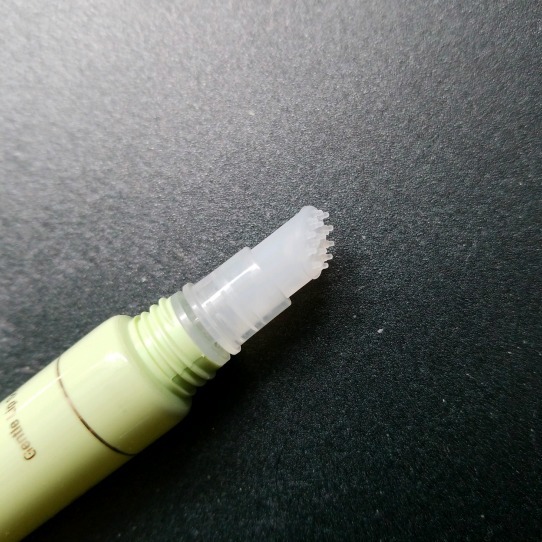 As you can see from the below picture, there is a little plug that is covered when you first open the product. When you peel off the sticker, the powder from the container is dispensed through the hole and then puffed onto the face to give you a velvet matte air-brushed finish. I found this perfect for on-the-go in my make-up purse to just blot the oil off my face.